Hi there its me Faith! First of all, I make a lot of junk like jewelry and cards and more! Second, my mom is making me do this and I don't know what to write, so I'll just tell you about what we did this morning. When I got up, mom was on the computer, being frustrated. I sat down with her, and tried to figure out what she was frustrated about. And I did, because I'm awesome! And just so you'll have something fun to pin, here's something we found today and loved it! 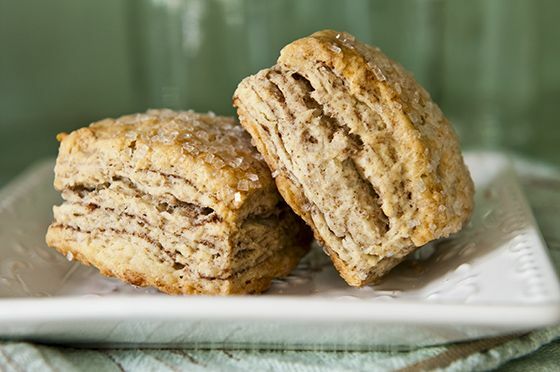 It is some delicious flaky cinnamon biscuits. Gotta try these! Also, check out mom's pinterest or Flickr. She is doing a scrapbook challenge called LOAD212 (Layout a day). She will post pics later today. I will write again soon. Mom will make me. Bye!